The Government of Fukuoka, Japan, together with “Matz” Matsumoto would like to invite you to enter the following Ruby competition. If you have developed an interesting Ruby program, please be encouraged to apply. 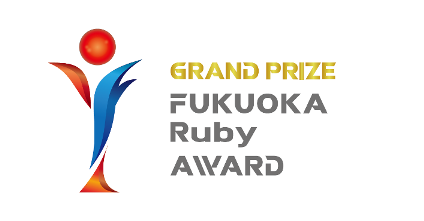 2018 Fukuoka Ruby Award Competition - Grand Prize - 1 Million Yen! Please email the application form to award@f-ruby.com. Lolipop! shared hosting service: 10-year free subscription of the Standard Plan, or JPY 100,000 coupon for the metered plan of the Managed Cloud. Muumuu Domain DNS registration service: 10-year free subscription of one domain (for a domain that costs JPY 10,000 or less per year).